With just a few weeks until the start of the 2011 NCAA Division I Men’s Basketball Championship tournament, college hoops fans need to take the appropriate steps to ensure the very best experience. Years ago, viewers sat in front of their TVs, watching one channel for a very one-dimensional experience. DigitalLanding.com says those days are long gone! But fans will have to make sure they are set up with everything they need before tip-off of the “First Four” tournament games on March 15 and 16 on TruTV (formerly CourtTV). General Communication will use the TransAct Transcoder from RGB Networks to stream live coverage of the annual Iditarod race to its subscribers' PCs with the same quality it delivers to TVs. The Iditarod is Alaska's most popular sporting event and this year's race begins on Saturday, March 5. "For us Alaskans, the Iditarod is a weeklong Super Bowl and delivering this year's race to the TV and PC is a key step in eventually offering a full 'TV Everywhere' service with live and on demand programming available for our subscribers on their TVs, PCs and mobile devices," said Greg Pearce, Vice President and General Manager of GCI's Business Services. "The impressive transcoding performance of RGB's TransAct Transcoder gives us what we need for this year's Iditarod and provides the capabilities and confidence to move to a full three screen offering in the future." Digital Rapids announces the release of version 3.4 of the Digital Rapids Stream software for the company's StreamZ, StreamZHD, Flux and DRC-Stream encoding and live streaming solutions. In addition to previously announced new features -- including frame-compatible 3D support and enhanced JPEG2000, H.264 and MPEG-2 format support -- the version 3.4 release also includes support for the MXF AS02 application specification, enhanced Microsoft Internet Information Services Smooth Streaming capabilities, expanded video and audio processing plug-ins and more. Version 3.4 enhances the Stream software's optional MXF input and output modules with support for the AS02 specification. AS02 is a constrained version of the MXF standard, designed to increase interoperability and efficiency during mastering and versioning processes. blinkx announces that a blinkx app will soon be available on Boxee. The app will be offered through Boxee's App Library and will allow audiences to seamlessly search, discover and watch professionally produced Internet video from top content partners across blinkx's index of 35 million hours of video content. Boxee aggregates the best Internet content and locally stored media and makes them available through an easy-to-use interface that's designed for a TV and remote. Boxee is available as a free download for Mac and Windows computers as well as via the Boxee Box by D-Link. The Boxee Box is a set-top box powered by Boxee that brings everything you love to watch on the Web to your TV without the need for a PC. Through the Boxee App Library and via Boxee's unique QWERTY remote, users can find and download apps from the most popular video, music, and photo services including Netflix, VUDU, NHL, MLB, Pandora, Flickr and soon blinkx! Turner, an investment firm based in Berwyn, Pennsylvania, publishes Sector Focus commentaries monthly as part of the continuing efforts of its five analyst teams to monitor the market sectors for its growth-stock portfolios. Entitled Internet TV’s time is coming, the piece was written by Turner’s technology analysts: Tara Hedlund, portfolio manager/global security analyst; Dan Hirsch, global security analyst; Mike Lozano, global security analyst; Chris McHugh, vice chairman and senior portfolio manager; and Bob Turner, chairman and chief investment officer. Envivio will introduce the third generation of its 4Caster C4 live encoder/transcoder for Mobile TV, Internet TV and IPTV services at Mobile World Congress 2011. Nearly doubling the processing power and capable of supporting twice the HD channel density of its predecessor, the 4Caster C4 Gen III has already been deployed in live trials at four major operators in the U.S., Europe and Asia to meet the demand for live HD video services for Internet-connected tablets and TVs. Envivio is also introducing version 2.4 firmware for the 4Caster C4 family. The new firmware brings numerous enhancements including support for the new Envivio Genesis output format—a single intermediate mezzanine format that supports multiple bit rates and resolutions to drive TV without boundaries for live and on demand services for every consumer device across multiple networks. ANT announces that Humax has launched its new TV Portal using the ANT Galio Platform. An automatic over-the-air update ran from Friday 4th to Sunday 6th February to all Humax HDR-FOX T2 Freeview+ HD set-top boxes in the UK. This update included the addition of the ANT Galio Platform to facilitate the new TV Portal, which enables viewers to enjoy a wealth of new digital content at the touch of button. The Humax TV Portal launched with a range of on-demand and internet services including Flickr, BBC iPlayer, Wiki@TV and internet radio. It will continue to grow with the addition of Sky Player in a matter of weeks, also provided by ANT and built using the ANT Galio Platform. Once the Humax box is connected to a broadband connection, consumers will be able to access on-demand content, seamlessly integrated with traditional broadcast content, through the easy to use interface. The TV Portal will also be made available on Humax HD-FOX T2 set-top boxes. Multimedia content, such as Netflix streaming services, and popular games with online components, such as Call of Duty and Madden NFL, are driving households to connect their game consoles and creating a new foundation for future growth in online video, according to international research firm Parks Associates. The firm's new report Connected Game Console Update finds 64% of U.S. broadband households with an Internet-connectable game console have it hooked to the Internet, a major increase from 2007, when only 25% had their next-gen console connected. 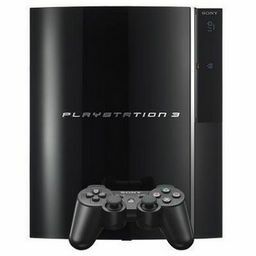 "PlayStation 3 and Xbox 360 have higher connectivity rates among the current generation of consoles, showing the power of multimedia offerings and popular game franchises in getting gamers online," said Pietro Macchiarella, Research Analyst, Parks Associates. "Despite the Wii's wireless capabilities, it has been less successful in getting users online due to less compelling online games and multimedia content. However, with its large installed base, it still is a significant player." UFC and NeuLion announce a partnership to launch a brand new service for UFC offering the most interactive, far-reaching digital experience yet. The new service, UFC.tv : will be available for this Saturday's UFC 126: SILVA vs. BELFORT Pay-Per-View event. The new online tool gives fans the ability to control audio and video feeds of UFC Pay-Per-View events, as well as other unique features such as quad view, picture-in-picture, video quality up to broadcast quality, live chat and live scoring by fans. Revision3 announces its growth results for 2010. Total views across the network increased nearly 165% year over year, with more than 42 million views in the month of December. The company reached profitability in Q4 of 2010 and grew its revenue 80% Y-0-Y, while increasing its blue-chip roster of advertising sponsors to more than 60, including Fortune 500 companies such as Verizon, Ford, HP, EA, Sony, HP and Old Spice.